Aluminum Storm windows are a cost-effective alternative to replacement windows. Custom built to your specifications with heavy-duty extruded aluminum, ProVia storm windows can offer up to a 21% increase in energy efficiency, weather protection and noise reduction. Wrap around marine glazing seals glass firmly into sash. Anti-bow pins ensure sashes will resist bowing under heavy wind loads (double hung only). Adjustable 1″ bottom expander simplifies installation for out of square openings and is weeped for drainage. Nylon pivot pins ensure smooth sash operation (double hung only). Heavy-duty sash interlock seals out the elements (double hung & sliders). 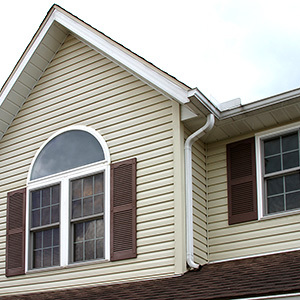 Triple track windows feature an inside operating half screen, while double track windows feature a half screen that is housed under the exterior sash. Keep out the cold and heat with full perimeter weatherstripping. Additional structural strength with the mid-window stabilizer bar. Cleaning is made easy with the removable sashes and half screen. Teflon® coated springs and electrostatic coating on latch bolts create a smooth latch operation. Safely adjust the amount of ventilation with ratcheted sash stops every 15/8″ on top and bottom sashes. With a relatively low initial cost, storm door installation is an inexpensive option that provides a number of benefits for any homeowner, including: protection of the exterior door, increased energy efficiency, keeps insects out while allowing in more natural light and adds additional security to your home. Our full line of ProVia aluminum storm doors are available in multiple colors and feature many options for door glass, including the exclusive Inspirations™ Art Glass. offers stylish designs for instant curb appeal.